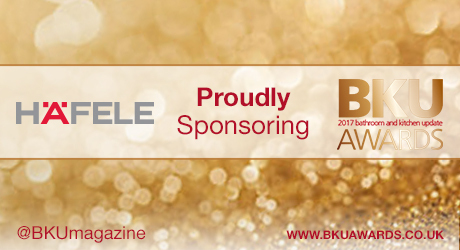 Häfele is delighted to be sponsoring ‘New Kitchen Retailer’ at the BKU Awards 2017. This year, the BKU Awards will take place on Thursday 22nd June at the Millennium Gloucester Hotel, London and will be hosted by Jimmy Carr. Organised by Datateam, the publisher of BKU magazine, the event is designed to recognise the retailers, brands, people and services that make the industry great. The deadline for entries is Friday 31st March 2017. In order to be in the running for an award, companies and individuals can enter themselves in each of the relevant categories. It is also possible to nominate other companies and individuals for a BKU award. Suppliers may nominate an exemplary retailer, while retailers may enter an outstanding brand. This all happens via a free online form. Dependent on entries and nominations meeting the necessary criteria, they will then progress to the voting stage. The online voting process will produce five finalists in each category, with the winners being those who have attracted the most votes overall. The BKU Awards is the perfect opportunity to entertain key business contacts, reward valued staff and provide a fantastic night out in the company of some of the industry’s biggest names.